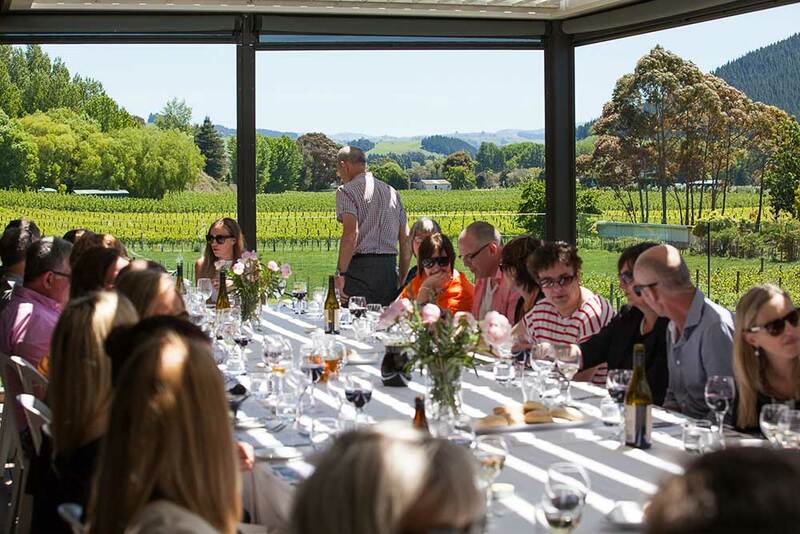 Enjoy the best of the Hawke’s Bay’s world renowned fresh food and wine during your stay. 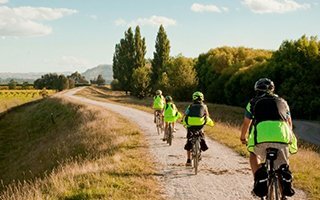 Pre-purchase your wine and food self-catering packs to enjoy at Kiwiesque on your arrival. 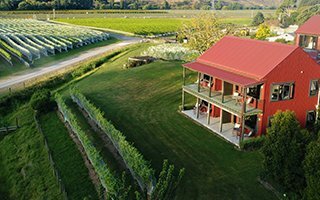 Our own wines include our vintage Reds, and seasonal Pinot Gris and Albariño White wines grown on our two hectare Kiwiesque Vineyard onsite. Our ‘Farting Kiwi’ Cab Sav and ‘Mad Cow’ Cab Merlots are aged ‘big’ wines from the great 2007 vintage. 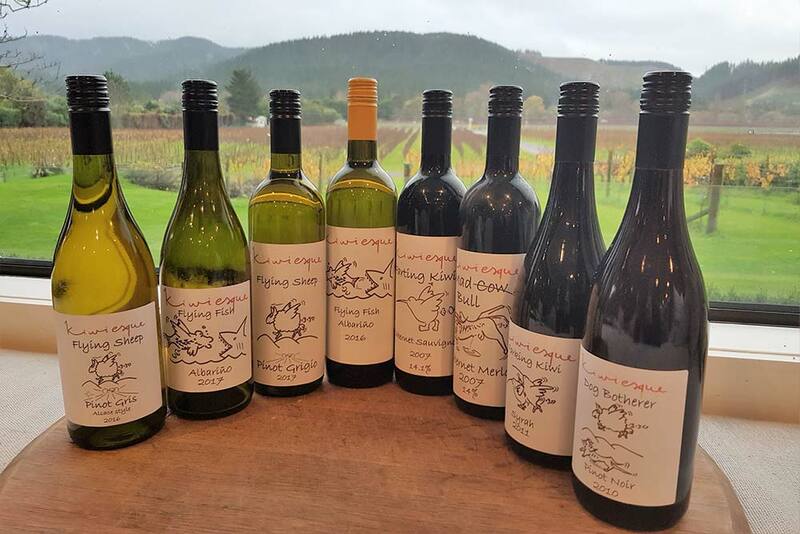 Contrasting them are our 2010 ‘Dog Botherer’ Pinot Noir and ‘Farking Kiwi’ Syrah. Our white wines are harvested annually, and a barrel of each are produced by the wine maker and students completing the Charles Sturt Wine Science degree in Hawke's Bay. Our ‘Flying Sheep’ Pinot Gris was first produced in 2016 as an Alsace full bodied style, while the 2017 is a Pinot Grigio style wine. 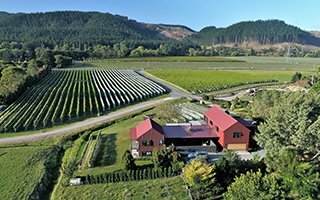 We are one of the foundation growers of Albariño wine in NZ. This Spanish White is native to Galicia in Spain to accompany our great seafood. Our 2016 Albariño is a full sweeter style, while our 2017 has the more traditional zingy start and long fruity finish. 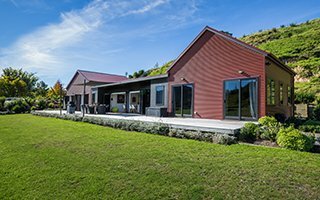 Our self-catering BBQ packs include our own Kiwiesque bred ‘Primera’ lamb and renowned local seafood sourced from the cool waters of Hawke's Bay. For the last 20 years Bayden has been involved in the development of the ‘Primera’ sheep, which is a blend of the traditional British breeds and renowned for eating quality. For the past 15 years, Bayden has worked with farmers in the UK and Australia to establish this breed and supply high-end lamb markets that demand the highest quality. Our Kiwiesque sheep flock play an important role in the Kiwiesque vineyard and farmland. They are our lawn mowers, and are used in the vineyard to eat all the vine leaves that surround the grape bunches. This allows them access to the sunlight to ripen and produce top quality wine, as well as great eating lamb. Chef Jeremy Rameka creates small plates with exquisite tastes to match their great wine library. Quiet atmosphere, watch the chefs in action, for the real foodies. Enjoy a relaxed rustic lunch in the vineyard setting. Great people, food and wine. High-end restaurant and winery. Outstanding food, wine, scenery and architecture. Great coffee, Justine’s favourite in the Art Deco city centre. Bayden’s favourite café & bar. 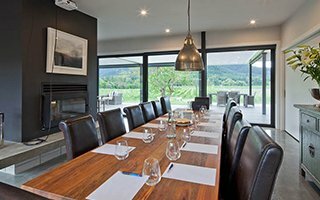 With an emphasis on Hawke’s Bay sourced artisan products, the menu reflects Church Road’s winemaking philosophy by combining traditional influences with innovative flair. Stylish, with a warm and inviting atmosphere. Excellent food and wines, with stunning views over the Pacific Ocean and vineyard. 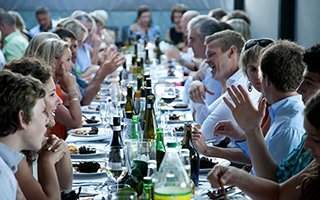 Harnessing the flavours of fresh local produce, the dishes are designed for sharing and can be enjoyed with the Te Awa Collection wines. A little piece of Europe in the midst of Napier, offering honest wholesome food made with the freshest of local ingredients. Specialist coffee shop among the best in the Hawke's Bay. Great service too. Elements of the classic, red corrugated iron shed meet luxury living to create unique and stunning results at this luxury self-contained accommodation in the Hawke’s Bay. 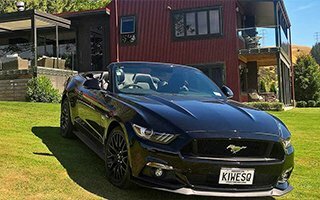 With plenty of room to relax, walk the vines, swim and soak in the countryside ambience, Kiwiesque is a perfect accommodation for a Napier get-away. Celebrate in style at Kiwiesque. The multiple expansive indoor and outdoor living areas offer the perfect venue for your next big occasion. 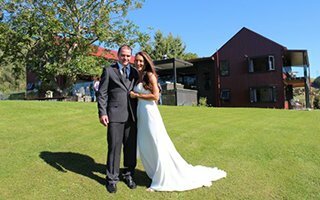 The Kiwiesque property is often used by guests accommodating the Kiwiesque Luxury Lodge for weddings, family reunions, business retreats, birthdays, and other social functions.